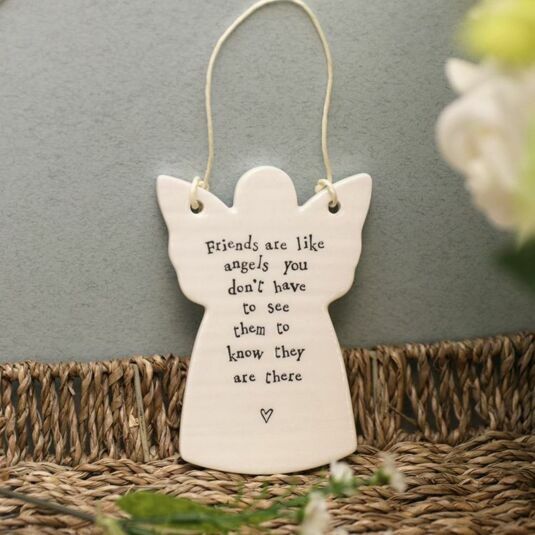 This beautiful porcelain angel is the perfect gift to celebrate friendship, especially if given to a friend you don’t often get to see but nevertheless hold very dearly. 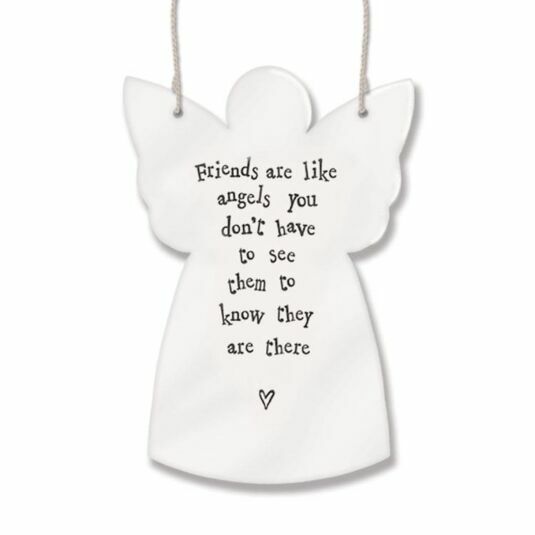 Friends are like angels, you don't have to see them to know they are there. This inspiring message is finished with a tiny heart. 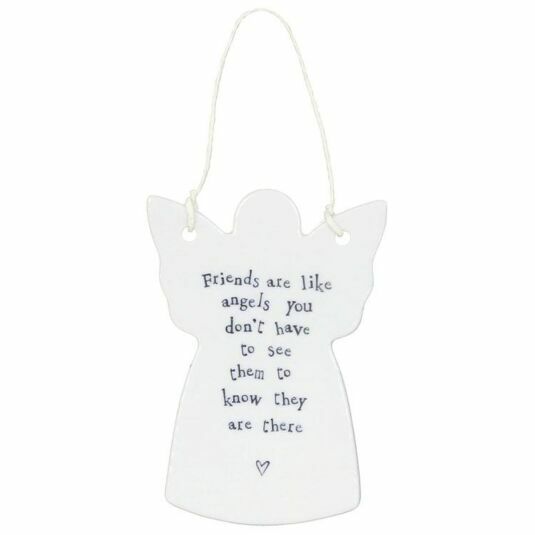 A lovely gift and memento of a special friendship, this porcelain decoration is clearly shaped like an angel, with wings spread wide.